Parkes, Parsons, Craven, Kenyon, Lenarduzzi, Lewington, Ball, Valentine, Hector, Whymark, Johnston. Some names go down in a football club’s folklore. Players that conjure up fantastic memories of moments, skills, and success many, many years after hanging up their boots. Some years give teams a season to remember. A pinnacle in a club’s rich history, never to be forgotten and often to be celebrated by generations of future supporters who can only wish that they were there. 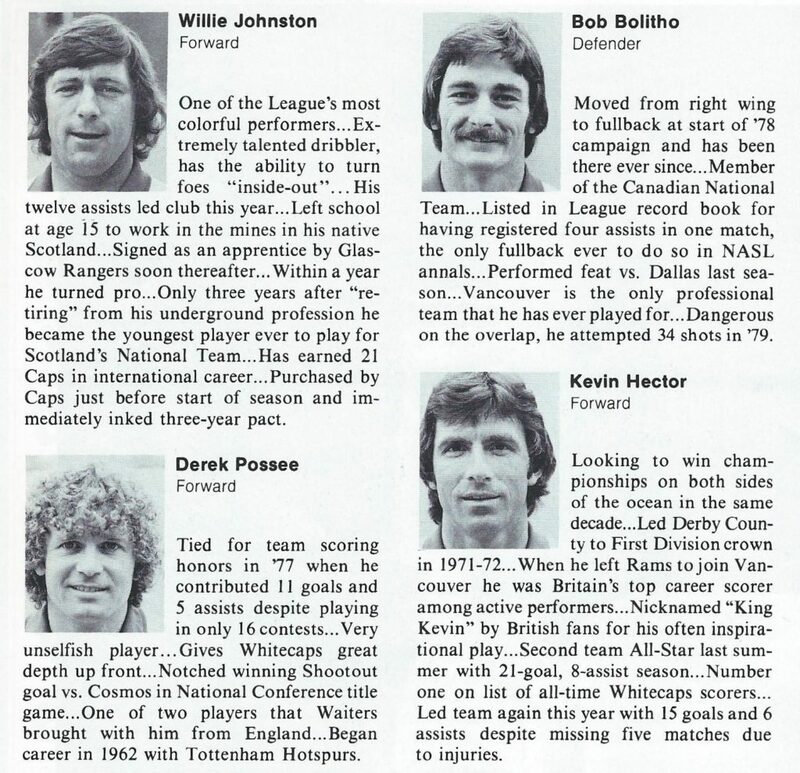 For Vancouver Whitecaps, 1979 was that season. Their finest hour. 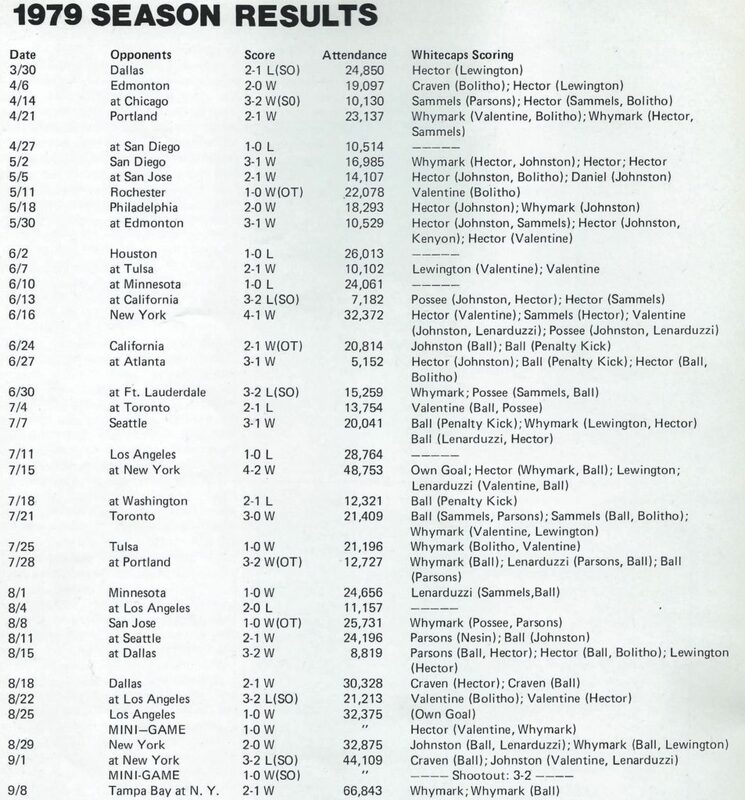 The year that the ‘Caps became North American champions and won the NASL Soccer Bowl. September 8th 1979 is the day etched in history and the starting line-up above is the team that got them there in a 2-1 championship game victory over Tampa Bay Rowdies at Giants Stadium in East Rutherford, New Jersey. Heading into the season the ‘Caps were confident of having a good year, but there weren’t many people that expected them to go all the way. 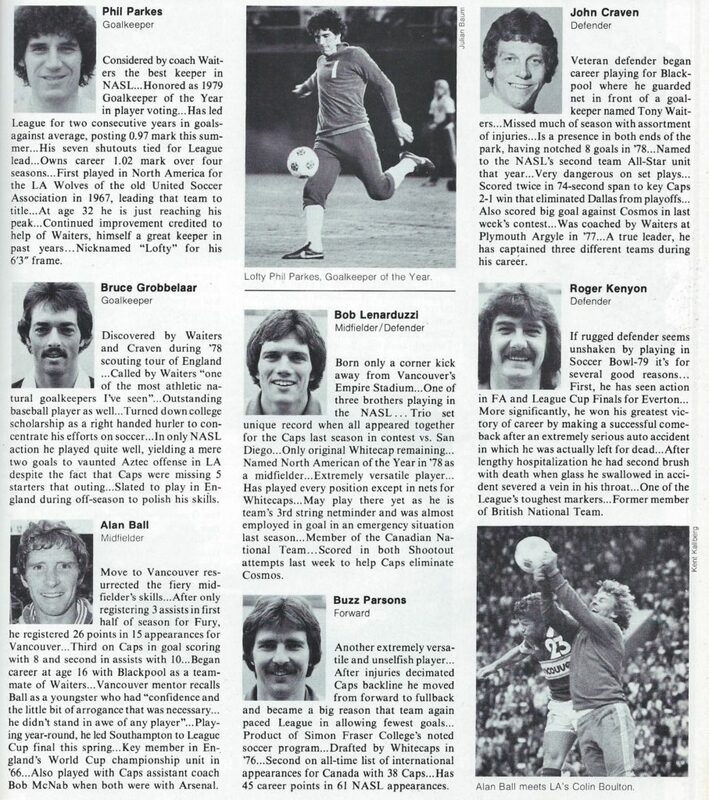 They’d won the Western Division of the NASL National Conference in 1978 by 32 points, having lost only six matches over the regular season, the best record in the league along with the New York Cosmos. They’d easily got past Toronto Metros-Croatia in the Conference quarter-finals before unexpectedly crashing out to Portland Timbers in the semis. It had left a feeling of what could have been around the club, so nothing much has changed there in terms of playoff performances against Cascadian rivals in the MLS era! But 1979 was a different story. The Whitecaps once again won their Division, this time with a record of 20 wins and 10 defeats. Dallas Tornado were dispatched 3-2 and then 2-1 in the Conference quarter-finals, then the ‘Caps lost their first Conference semi-final 3-2 to the LA Aztecs after a shootout, before winning the second match 1-0 and then winning the deciding ‘mini game’ by the same scoreline. The Conference championship matches against the New York Cosmos became stuff of legend. The ‘Caps won the first match 2-0 at Empire Stadium, but fell 3-2 after a shootout loss in the second match at Giants Stadium. That set up the mini game, which also went to a shootout, but Vancouver shocked their hosts and spoiled their dreams of playing at home in the Soccer Bowl. A week later and Trevor Whymark was the hero in the same stadium, scoring a brace against the Rowdies and writing himself and the team into Vancouver sporting history for eternity. That was then, this is now. Forty years later and it’s the ruby anniversary of that Soccer Bowl winning season. The hoop is back for the Whitecaps strip, Carl Valentine is regaling people with wonderful stories, and it’s been fantastic to hear that the club will be honouring their greatest achievement to date throughout the season. And so will we be here at AFTN. We love out footballing history and over the coming months we’ll be taking a weekly look at the Whitecaps from 40 years ago – the matches, the moments, the players, the talking points, and more, as we look back at a season to remember, dig into some ‘Kick’ matchday magazines to capture the mood of the game in North America at that time, and bring you some chats with key players from that famous year. 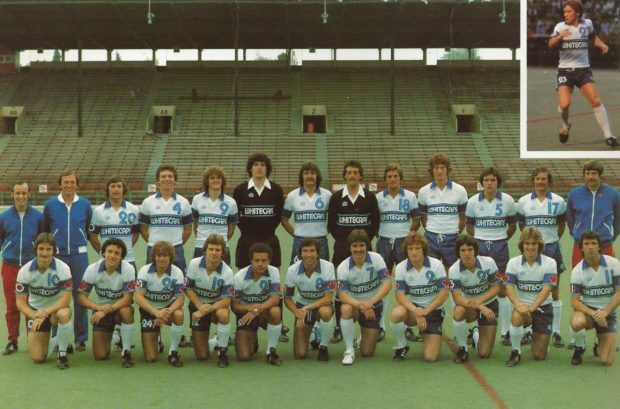 Saturday marks the 40th anniversary of the Whitecaps 1979 season kicking off with a Friday night home game at Empire Stadium against the visiting Dallas Tornado. How did that one play out? Find out tomorrow! 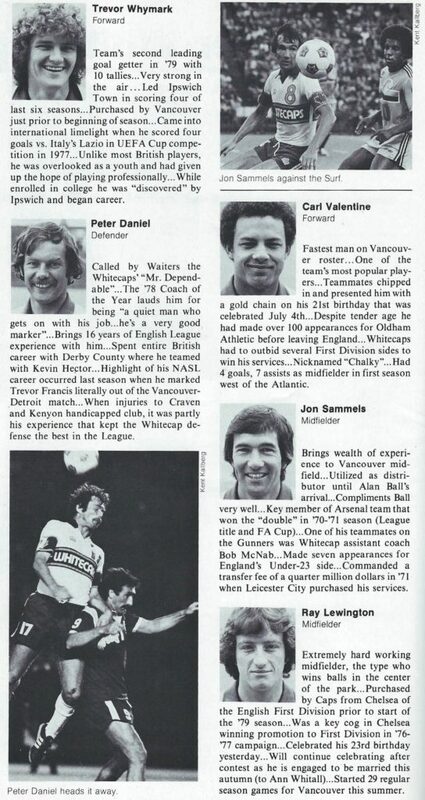 To get you all in the mood, have a look over the full results from that championship winning season and the movers and shakers that saw the Whitecaps lift the NASL trophy come the end of it (scanned from some programs from the time). Enjoy!